Goldleaf Bonds | Special Feature | Eagle Agency | Webinars | Parting Shot | TRIVIA! Let Goldleaf Surety Services staff of reliable, responsive, knowledgeable, and tenacious specialists assist you and your agency with all of your bonding needs. It is important to us that your client is getting the best experience when it comes to obtaining the bonds they need. Reliable and responsive. The bonding experience can often be confusing and stressful to companies that are unfamiliar with the process. Goldleaf's staff is here to make sure the process is seamless. Goldleaf Surety navigates the bonding process and government regulations on behalf of you, your clients, and their companies, transforming a cumbersome process into a chance to prepare their business for bond opportunities now and in the future. 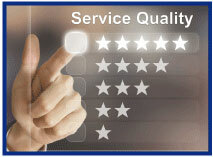 Our attention to detail and prompt response time are just two of the items that set us apart. "[They] are a very important client to our company so your willingness to field my question late on a Friday afternoon is GREATLY appreciate! You are a lifesaver! We valued your troubleshooting ideas and your willingness to provide guidance is key to why we love to use Goldleaf!" Tenacious. A great work ethic and a willingness to get things done for you and your client is a cornerstone to Goldleaf Surety's commitment to your clients. We think outside the box. When others are restricted by size, specialty division or other constraints, Goldleaf can step in and make securing the bond possible. We know what is critical to obtaining bonds and how to supply you and your clients with feedback to improve bonding ability and limits. "I want to commend you on your approach to helping us with this opportunity. I am impressed that you were interested enough in our business and this project to visit the plant and meet with us in person. Also, the flexibility of viewing the contract in 3 parts, (design, construction, and installation) helped us manage risk, and reduced our exposure to retainage on the entire value of the project." Knowledgeable. Goldleaf's staff of surety specialists has a combined 80 plus years of experience in the surety industry. No one else in the industry puts together a more comprehensive and thorough underwriting file than Goldleaf's staff. We know what is critical to the underwriting process and how to provide consultation to clients on changes that can be made now and into the future which will have a direct impact on their bonding capacity. Goldleaf is a surety-only specialist. Our surety specialists can be your agency's "back room" bonding professionals, giving your agency bonding expertise which otherwise may not be available. This in turn allows you to keep a long-term customer from looking elsewhere, or possibly allows your agency to add a significant customer that you have solicited for years. "Goldleaf has secured the multi-million dollar bonds necessary to win and complete projects; something no one else has been willing or able to do." See how your agency and your agency's clients can benefit from Goldleaf's surety expertise! Big "I" members can contact Goldleaf by logging onto www.bigimarkets.com (select the appropriate bond type from the bond options on the commercial markets menu) or by calling Goldleaf directly at 1-888-294-6747 (ask for Lori Olson - lori@goldleafsurety.com). Session is set for September 13, 2017. The Big "I" Professional Liability prides itself on offering more than a policy, but comprehensive program including robust risk management resources. Each quarter our risk management team hosts a webinar, provided free to Big "I" members and Swiss Re Corporate Solutions policyholders, addressing cutting edge E&O topics. The next session in the Big "I" Agency Risk Management Essentials series, Emerging Exposures: Marijuana, Mold and More, has been scheduled for September 13, 2017 at 2 p.m. Eastern. Why should you attend? To learn about a number of exposures facing insurance agents that have plaintiff attorneys licking their chops. The webinar will not only identify the exposures, but also give you the tools you need to reduce your agency's risk of errors and omissions (E&O) Claims. The discussion will feature a member insurance agent, a representative from the Virtual Risk Consultant, a Swiss Re Corporate Solutions claims specialist, as well as E&O defense counsel. Register today and save the date for Emerging Exposures: Marijuana, Mold and More. 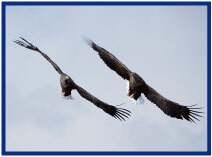 What's New at Eagle Agency? We're pleased to announce that Eagle Express has partnered with QBE North America. QBE North America writes personal lines property insurance for homeowners including primary, secondary and seasonal occupancy, renters and condominium owners. Coverage is available in all states except Alaska, Connecticut, Florida, Hawaii, Louisiana and Massachusetts. Underwriting guidelines do apply. Properties located in high hazard areas including but not limited to flood, brush, earthquake, wind, coastal and tidal waterway are subjected to a riskmeter and vary by state. For a QBE homeowners quote consideration, submit the quote request on the Big"I" Markets website under Personal and scroll down to Eagle Express Auto & Home: New Business and Request A Quote. Please include a completed Marshall Swift Boeckh Replacement Cost Worksheet homeowners quote submission. If you have any questions, please email them to Jodie Bacote. MetLife Auto & Home wants to appoint new small commercial agents in the following states: Alabama, Arizona, Colorado, Florida, Georgia, Illinois, Minnesota, New Mexico, New Jersey, Ohio, Oregon, Pennsylvania, Texas, Washington and Wisconsin. An Eagle MetLife Auto and Home commercial lines agent is expected to bind a minimum of two new business commercial accounts a month. If you would like to see product and eligibility guidelines or have questions about the product, email Jodie Bacote to request the information. Remember to include your agency name, city and state. There are over 2 million horse owners and 575,000 horse farms located in the United States. Be it racing, polo, hunt seat, dressage or just pleasure, a significant number of affluent individuals and families have a passion for horses. Horse ownership comes with unique risks and owners may lack the proper protection under their personal insurance programs. As an agent or advisor catering to affluent clientele, it's important to understand the passion, inherent exposures and special insurance needs associated with horse ownership. Presenter is Susan Weber, CPCU - AIG AVP, Capital Regional Underwriting Manager, Equine Specialist. This webinar provides insurance agents a practical look at how FEMA flood map changes can affect property owners in their roles as flood insurance policyholders as well as borrowers. Find out how to ease the transition to new flood maps for your clients. Learn how to provide better service to them by understanding how mapping changes affect policy rates, premiums, and the mandatory purchase of flood insurance. This course will also review flood mapping issues related to Letters of Map Change and the Newly Mapped procedure. Enroll and learn how to best help your clients both before and after map changes occur. Recently I've been studying for my Life/Health insurance license to meet a compliance requirement in one state that each agency needs a single person named as their compliance officer and that person must be licensed for all lines. With that surprise, we realized we did not have such a currently licensed person so, well, lucky me! 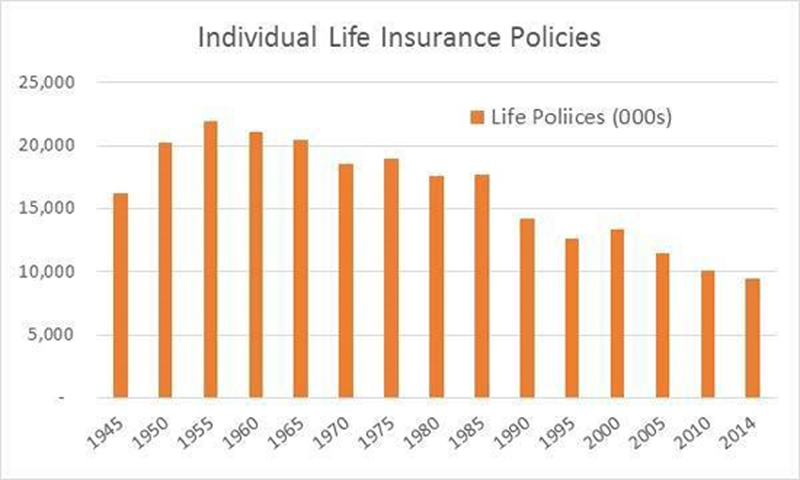 In studying for that exam, I was astounded to see the following figures on new individual life insurance sales in the United States (see below). By measure of numbers of policies there are less new policies since any time in recent history! Fortunately offsetting the falling policy count, my study materials advise me the average policy in 2014 was up to $168,000 in death benefit and premiums for individual life insurance policies were up to $105 billion in 2010, an increase of 16% over the prior year. While my study materials are a bit dated on the premium figure, a quick check with the Insurance Information Institute confirms that life premiums also grew from 2014 to 2015 by a similar percentage. Did you know that Big "I" Markets can help you reverse this trend? On Big "I" Markets we have the experts there to help you in any life insurance situation from individual term to second-to-die estate planning and even business-purchased coverages. 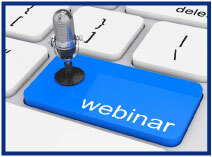 Do you get questions on split-dollar, key person, deferred compensation, or second-to-die? Big "I" Markets can help you on non-individual placements as well. Just log-in and search for "Crump" or "life" and you can get referred to the experts. They can also help you with Life, Disability, Annuity and Critical Care products. Congratulations to our agent in Arkansas on a Recreational Vehicle sale of $6,308 in premium!